If you ever wanted some simple golf swing tips to help your game, look no further. These 3 simple golf swing tips help you work on 3 different aspects of you swing. Have you hit a plateau in your golf game? You’re hitting the driving range and golf course every weekend, maybe even practicing at home, but your scores never change. Even if you don’t care much about besting your buddies, we all want to best ourselves. We want to see clear improvement and know that our hard work is paying off. If you’re stuck in a rut, it’s not because you’ve reached your full potential. 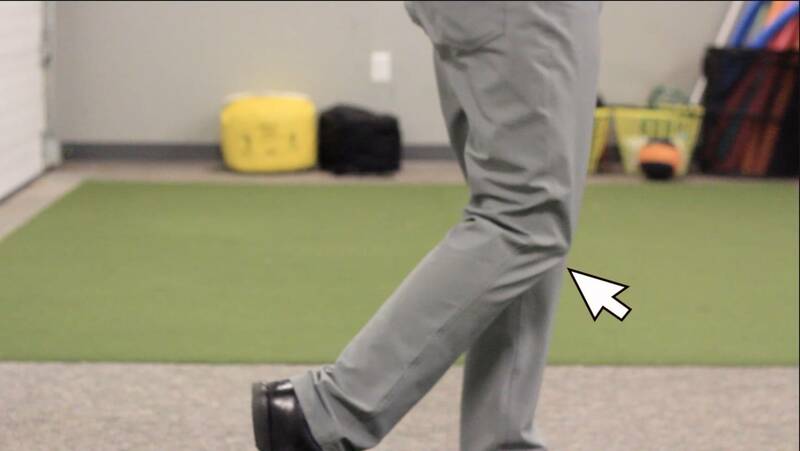 More likely, there’s some small error in your golf swing that’s holding you back. I’m going to share three golf swing tips that are proven to help you play better golf. I’ve used these tips with my students for over twenty years, and the results have been transformative. 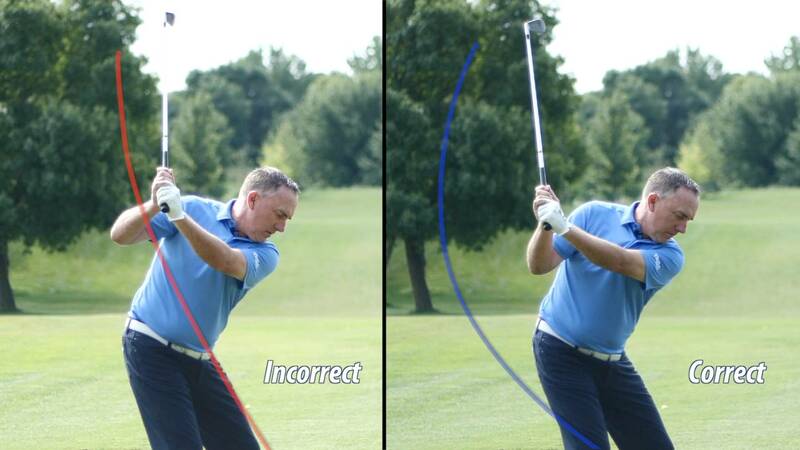 You may not need all three golf swing tips, but odds are at least one of these tips will illuminate an error you didn’t realize you were making. One neglected aspect of the takeaway is the relationship between the hands and the clubhead. In fact, it’s far more common to worry about the direction the club swings on the takeaway. You may even have received advice on this or heard theories on whether it’s best to swing the club more outside or more inside. However, if you watch the best players in the world, you’ll notice that there isn’t much consistency when it comes to club direction. Some golfers swing way inside, some swing way outside, and many fall somewhere in between. Meanwhile, they’re all making incredible shots and taking home trophies. So, here’s a theory: maybe the direction of the club isn’t the real issue. They always keep the clubhead outside of the hands. To clarify, when we talk about keeping the clubhead outside of the hands, we mean the clubhead is just slightly farther out from the body than the hands are. If the clubhead passes through the plane of your hands and closer towards the body, the clubhead is now inside. Next time you’re at the driving range, make a special effort to notice where your clubhead is in relation to your hands as you swing back from the ball. A good checkpoint is when your club shaft is just about parallel to the ground. 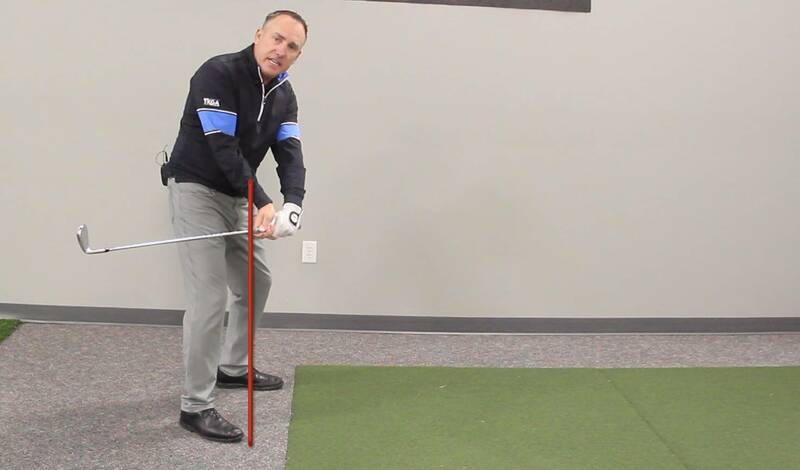 If the clubhead is outside your hands at that point, you’re set up for a great transition. If you’ve hinged your wrists so the clubhead is now inside your hands and almost on the same plane as your body, it’s really unlikely that you’ll hit the solid shot you’re capable of. 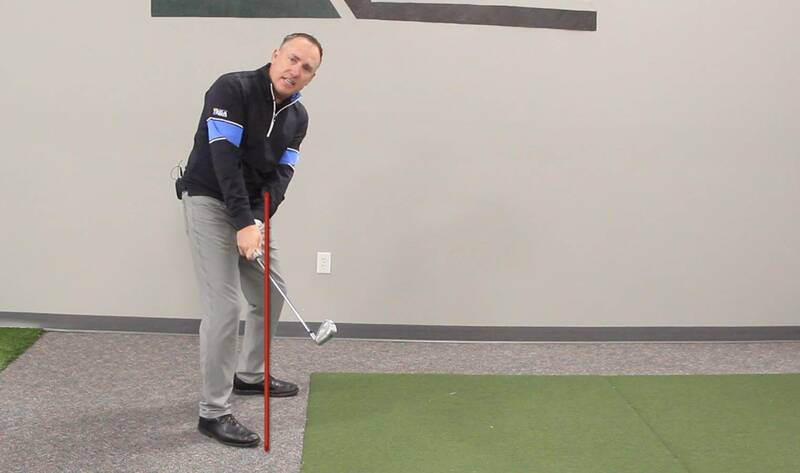 The second of the golf swing tips deals with the Transition. When I talk about the transition, I’m referring to the transition from the takeaway to the top of your swing. One very common mistake in this phase is the dreaded chicken wing. You may have already been told you have chicken wing. And most likely, the person who told you that was referring to your finish, not your transition. “Chicken wing” is most commonly used to describe golfers who finish with their elbows deeply separated. The truth is, even though this error is easiest to see in the finish, it’s often a by-product of a mistake that occurs in the transition. The problem is that when the elbows separate, it limits your body rotation and creates a steeper angle for your club. Both of these side effects are bound to hurt your shot. 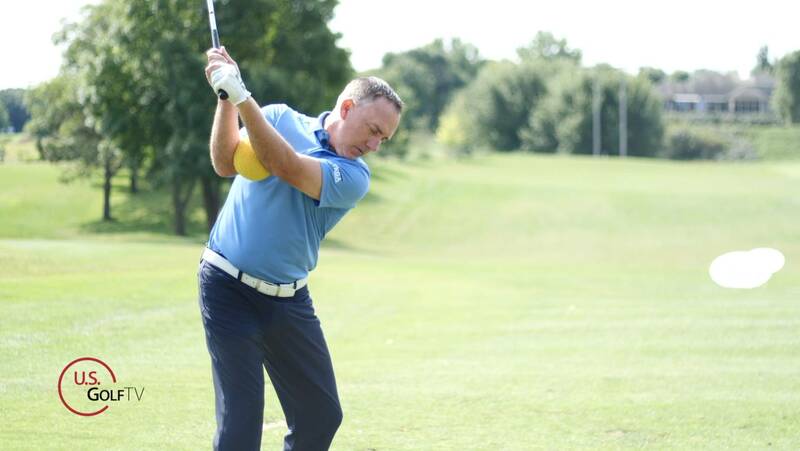 To correct this habit, think about your elbows getting closer together as you transition to the top of your swing. Let it feel almost like you’re squeezing them towards each other. It may feel wrong, but trust me: an elbows-together mindset will bring you closer to the form you want. I recommend practicing with a training aid like the Smart Ball by Tour Striker. It’s essentially an inflatable ball you position between your forearms with the goal of keeping it in place for the entire swing. Drilling with a Smart Ball can do wonders for correcting that chicken wing, as well as other common backswing mistakes. Once you have those elbows under control, you’ll be set up to swing through to a strong finish. This last of the 3 golf swing tips is particularly useful for anyone who struggles with rhythm, tempo, and balance. It’s also the tip I recommend to my students when all else fails . . . and it’s deceptively simple. Believe it or not, golf swing tip #3 is as basic as that. If your knees are touching in your golf finish, you’re in balance. Golf swing tips do not need to be complex to make big improvements. Even more interestingly, I often find that when golfers go into their golf swing thinking about knees at the finish, the rest of their swing falls into place. I wish I had studies and statistics to prove scientifically that thinking about the finish can smooth out the entire golf swing. Unfortunately, all I have is anecdotal evidence from more than twenty years of teaching. With the club up over their shoulder and their knees touching. If your answer to any one of these is “no,” you may find turning that “no” into a “yes” is all it takes to start playing better golf. Have These Tips Worked for You? Was this helpful? Had you heard any of these tips before? Is there anything here you disagree with? Join us in the comments section to share your thoughts, questions, and difference of opinion. 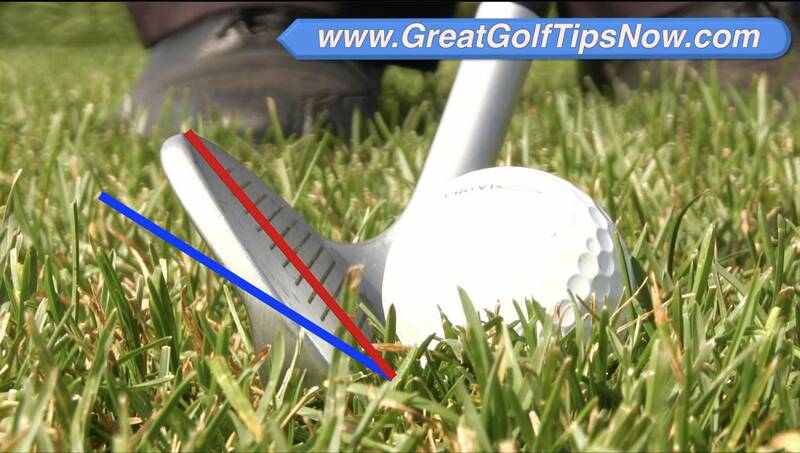 For more in-depth golf swing tips, visit us at GreatGolfTipsNow.com. This new video series is completely free and packed with detailed advice to help you play better golf! Next post: What Golf Grip is Best for You?